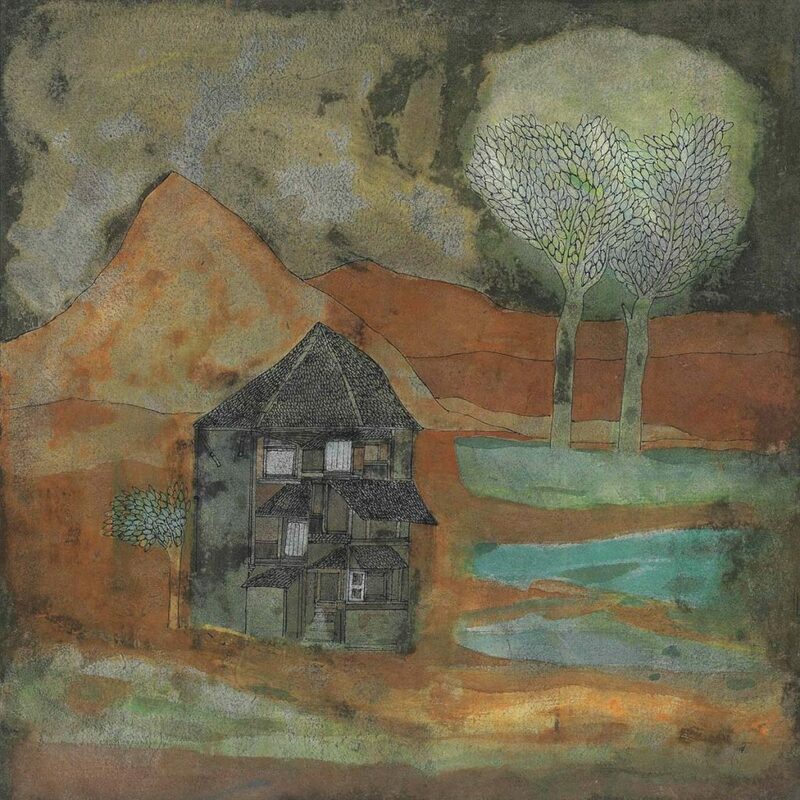 Born in Secunderabad, Andhra Pradesh, Badri Narayan began his career in the late Forties working with ceramic tiles and mosaics, and moved later to using ink, pastel and watercolour as his primary mediums. Coming of age around Independence, painter, writer, storyteller and art teacher, Narayan has interpreted ancient and medieval traditions through his paintings, illustrations, stories, and workshops. His distinctive pictorial vocabulary draws from medieval woodcuts, Byzantine portraiture, Ajanta murals and Pahari miniatures. 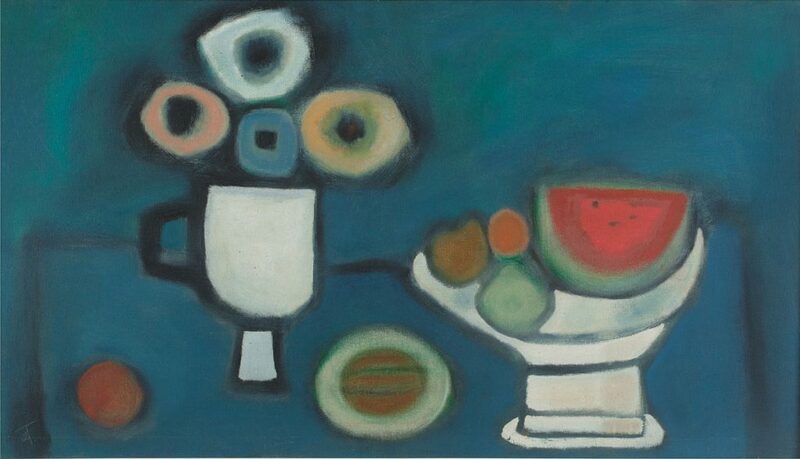 Working in a space between the literary and the visual, the artist’s primary vehicle remains the narrative. Many of his pictorial protagonists, allegories and situations stem from the realm of Indic myths and folklore. In two-dimensional stylised representations, often with recurring symbolism, the artist’s simple outlines convey artistic intent in series such as Savitri, Chandi Thaker and the Rani, Six-Tusked Elephant and Boat. 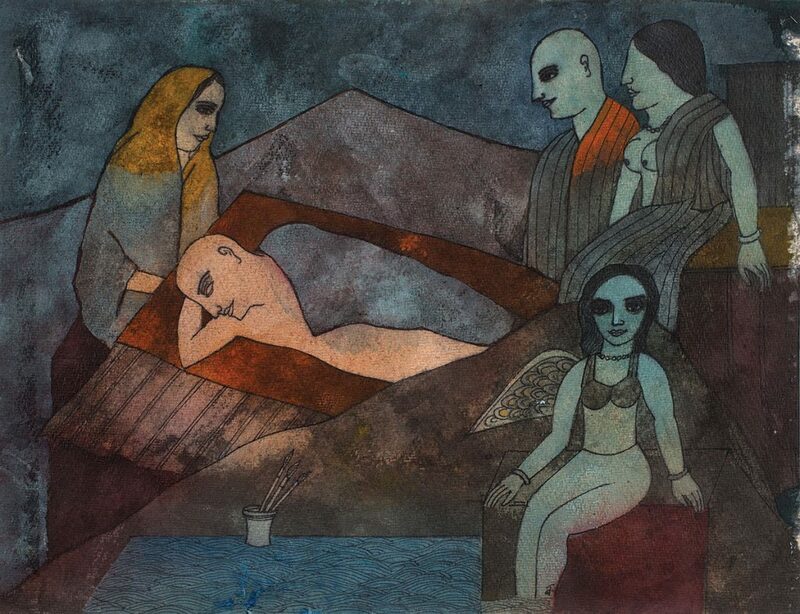 Narayan has had over fifty national and international shows and his works are in several permanent collections, including the National Gallery of Modern Art and National Museum in New Delhi. A prolific writer, he has written on art, folklore, mythology; short stories, verse and tales for children, and illustrated books. 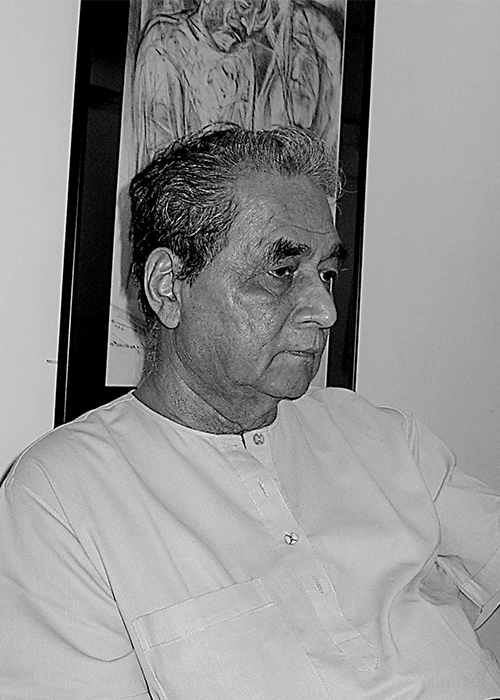 He was awarded the Padma Shri in 1987 and the Maharashtra Gaurav Puruskar in 1990.